GREENSBORO, N.C., USA, Nov. 20, 2018 - Many factors contribute to weeds developing resistance to herbicides. One common problem is applying herbicides at the wrong timing. To help growers, Syngenta is providing key insights into herbicide resistance management as well as optimal application timing. It’s important with pre-emergence herbicide applications to spray as close to planting as possible. This will help get the most out of pre-emergence herbicides as well as achieve the longest residual activity.It’s also important to use a herbicide that will perform on each grower’s schedule. For post-emergence applications, Wuerffel said it is crucial to consider weed height. Syngenta recommends growers spray weeds based on heights recommended on the label. For most weeds that’s before weeds reach 4 inches. Wuerffel says spraying weeds when they’re too tall can lead to resistance development. 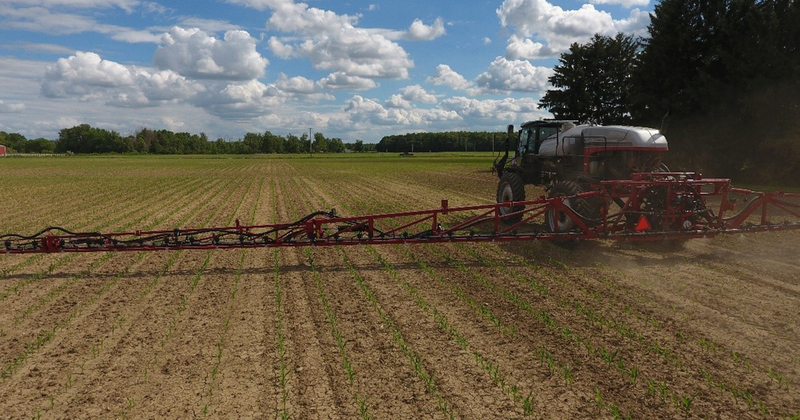 He recommends growers plan a time for their post-emergence application with an overlapping residual, usually three to four weeks after the pre-emergence application, regardless of whether there are any weeds present in the field. The global Herbicide Resistance Action Committee agrees. In their best management practices guide, they say the more weeds present in the field when the herbicide is applied, the higher the chance that resistance will develop. Wuerffel says growers’ best option is to use a two-pass system of overlapping residual products with multiple effective sites of action. Acuron can be applied in a split-shot application with a portion of the rate applied pre-emergence, followed by the remainder of the rate applied post-emergence for overlapping residual control. It is also highly flexible, with the ability to be applied up to 28 days before planting or until corn has reached 12 inches in height. Wuerffel notes that Boundary 6.5 EC can also be followed by Prefix as an early post-emergence herbicide. Learn more about the best time to apply herbicides in this video with Wuerffel. For more information about how to fight weed resistance, visit ResistanceFighter.com. Join the conversation online – connect with us at Syngenta-US.com/social. ©2018 Syngenta, 410 Swing Road, Greensboro, NC 27409. Important: Always read and follow label instructions. Some products may not be registered for sale or use in all states or counties. Please check with your local extension service to ensure registration status. Acuron is a Restricted Use Pesticide. The trademarks or service marks displayed or otherwise used herein are the property of a Syngenta Group Company. All other trademarks are the property of their respective owners.